I’ve not been reading or reviewing as much as I normally do. Life has that funny habit of ensuring that some times are so busy that all you want to do at the end of a day is sleep. I was sent this book ages ago by Mindbuck Media and I feel awful that I took this long to read it. Mae Rose has been living with her mother. She had clues that everything wasn’t quite normal in her family when she found herself not being allowed to be friends with other kids. As she grew up, she realised why, her mother was a prostitute. She wanted to be nothing like her mother, but orphaned at 16, life pushes her into her m0ther’s world. 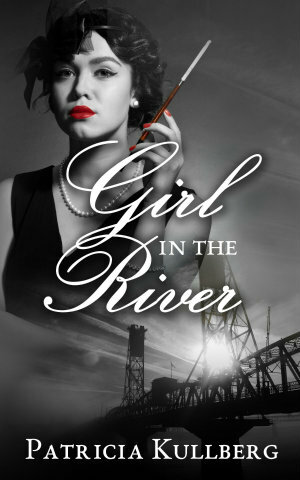 Set in the Portland of 1950s, a city controlled by criminals and crime, Mae Rose’s life reflects the turbulent times that it was. 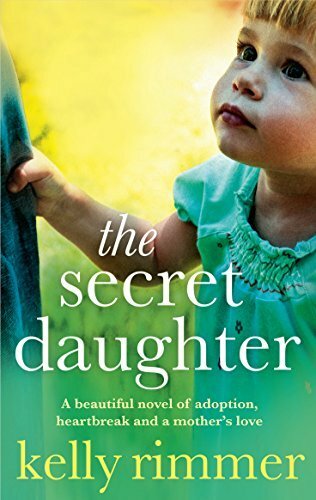 16 year old Mae Rose, newly orphaned, when her mother dies from a botched abortion, suddenly realises how unsafe the city can be for girls like her. All she wants is some work, but realises all too soon that young girls like her are preyed upon. She ends up learning the hard way, and then decides to play unsafe on her own terms. The story brings underbelly of the city, funded by gangsters hand in hand with the corrupt city officials, it was the girls on the street who bore the brunt of it. The story features two real people from that era, Dr Ruth Barnett, the famous abortionist and Dorothy Lee, the anti-vice crusader who came down heavily on corruption. Mae Rose’s story is woven beautifully with the happenings at that time. It was a book that needs to be read. A book with so much insight into those times. A book I would definitely recommend. It also has the most charming and unlikeliest of romances, one I found very sweet, and yet doesn’t detract from the tale being narrated at all, which is far from sweet. A 4.5/5 book for me. A book that will stay with me. A doctor and a historical fiction writer, Kullberg brings both areas of her expertise together in her writing. Based out of Portland, This is her first book, with others in the offing. The book is available from Amazon(UK). Eliza Bennett is living the life she’s always dreamt about, doing something she loves with a man she loves. However she’s hiding a terrible secret that could bring her dream life down like a pack of cards. For one, she isn’t who everyone thinks she is. She is actually Klaudia Meyer. She’s adopted Eliza Bennett as her new name. Klaudia, she no longer was, in her own mind. And Eliza she would have stayed, until life forced her to face the truth. Klaudia has had a difficult childhood, being the only daughter of Otto and Gwyn. Otto is the school caretaker, and an object of fun for her school mates. With his German background, the easiest jibe to fling at him was, ‘Nazi’. His obsession with religious carvings don’t help matters. By the time she becomes older, all she wants is to run far far away from her childhood home. Also lurking was the growing suspicion that maybe the school kids weren’t too far off with their jibe of ‘Nazi’. Klaudia knew that she needed to get away, and Leeds seemed far enough. When she moves away from home, she chooses a new name for herself, Eliza Bennett, inspired by Jane Austen’s Elizabeth Bennett. She constructs a new identity for herself and was perfectly happy until life threw everything into disarray. The story weaves back into the past, with Otto and Ernst’s life in Nazi Germany. Ernst narrates the tale of life in war time Germany. It makes for a heartbreaking read. It is unbearable to read of life in such situations, where people are pitted against people. Neighbours, friends, all forced to turn against each other, and the power of words, campaigns, and slogans which gave people the thrust to do things they would have never done otherwise. Things that would come to haunt them later. A moving tale of a girl who doesn’t know the truth of her past, of ghosts of the past haunting not just the people who lived through things, but also generations which come later. A poignant read, one which I will stay with me. A good, haunting read, especially Ernst’s part of the book. A 4/5 read for me. This is the first book I’ve read of this author, and I know that it’s not going to be the last. Thank you, Netgalley and the publishers for the review copy of the book. Saskia grew up in Suffolk and now lives in London. She is the mother of four children, including identical twin girls. She has a B.A hons in English Literature from Cambridge and an M.A in Creative Writing from Royal Holloway. She’s worked as a Health & Beauty Editor,freelance journalist, ghost-writer and script reader. As well as writing and reading, she loves tango dancing and dog walking. The title hooked me in. There was something about the title. Actually, it’s just that mention of cake, and even the fact that I don’t even like coconut cake didn’t deter me. I love fiction based on food, or even non-fiction, for that matter. As you can see, I’m not too choosy and the blurb sounded interesting, and that was enough to get me to request for this book at Netgalley. Lou runs a little French restaurant, Luella’s in Milwaukee. She’s living her dream, she’s finally been able to save money and open her own restaurant. While not wildly popular or anything,they are struggling, just about able to make even, but that doesn’t stop Lou from dreaming big and working hard to reach there. The only person who doesn’t seem to take her seriously is her fiance Devlin. He seems to think that she needs ‘rescuing’ from her ‘hard’ life. As it turned out, Lou certainly didn’t need rescuing by Devlin, and walking in on her fiance unexpectedly had more than one unsavoury outcome. Al is a brutal restaurant reviewer who is known for his harsh take downs of the restaurants he reviews. Originally from Britain, he is just about tolerating Milkwaukee and writes under a psuedonym. He gets an anonymous invite to review Luella’s, and lands up there on a day when Lou was at her worst. Needless to say, Al’s review was nothing to write home about. The review drives Lou to the pub to drown her sorrows where she runs into Al. A dare ends up with Lou offering to show Al the culinary delights of Milwaukee which involved some really delicious sounding food (the descriptions had me drooling). During this time, Lou’s restaurant is facing closure, while Al’s column is gaining in popularity. So what happens when Lou finds out who Al really is? You have to read to find out. A charming, cute story. One that you know the outcome of, and yet want to read on, just because the writing is so captivating, the characters so engaging, that you want to read on, you want to know what happens next, knowing fully well, that there is little that will surprise you. I loved the characters, particularly Lou’s protective friends. A simple story, but really well narrated. A book that made me want to taste all that Lou shows Al, made me want to visit Milwaukee, and made me want to know how it all ended – even though I could easily predict the ending, but the journey to get there was absolutely delicious! 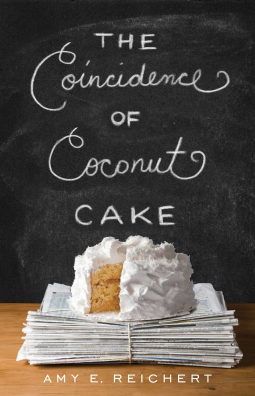 The author even did the near-impossible, she made me want to try a slice of coconut cake! A book I would definitely recommend. Great for a holiday read, a quick, easy and fun read. A 4/5 read for me. I know I would love to read other books by this author. I think I picked up this book first by the cover. It just called out to me, and when I read the blurb, I knew I had to read it. 38 year old Sabina is all excited. She has just found out that she is going to become a mother. And she can’t wait to tell her parents, she is sure that they would be just as excited as her. Her parent’s reaction to her pregnancy was one that she had never expected. Shocked at her mother’s reaction, she prodded, until told that she is adopted. It had taken them 38 years to admit this truth. Shocked and blindsided by the revelations, Sabina is completely confused. The only thing she knows is that she want to know more of her birth mother. What made her give her baby up? And why was her parents(adoptive) being so cagey. What were they hiding? Sabina goes on a journey, finding out more about herself and her parents than she had ever imagined. 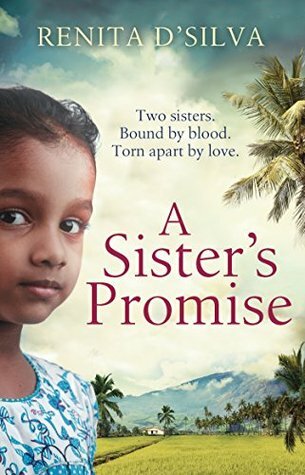 A beautifully handled story, it had me in tears, had me hoping, had me crying, and had me desolate when I read about Sabina’s birth mother, Lilly’s story. Lilly’s and Sabina’s story progress in parallel, with us the readers gaining an insight into what actually happened all those years ago which resulted in Sabina getting adopted. The mystery of why Sabina’s parents never divulged the fact that she had been adopted bubbles along until close to the end. The book touched upon the horrors that young unmarried pregnant girls went through in those days where it was all frowned upon. The treatment meted out to them, by the society, and even worse, by their own parents, was heart-breaking to read, to say the least. To think that while this was a fictional account, this could well have been a true account for so many helpless young girls. I can’t even begin to imagine.. The narrative had me from the start. I loved the way it started, had me hooked from the start and as the story progresses, it just got better. The characters felt real, and identifiable. Sabina’s reaction to the bombshell(s) dropped on her feel real. I could feel her pain, her utter confusion at the revelation that changed everything that she knew about herself. To be honest, I can’t even imagine how it must feel, to find out, out of the blue, that the two people you have known as parents, the people with whom you share that unbreakable bond, are actually not your birth parents. In Sabina’s situation, it is even more tough, given that she is pregnant herself, and so far, had been extremely close to her parents. 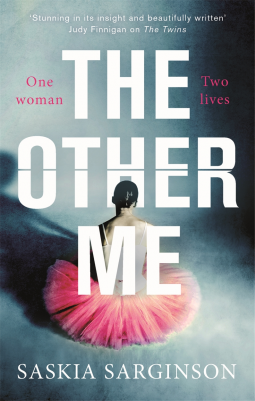 The author has done a brilliant job in bringing out all the emotions that Sabina, Lily and her mum go through. It’s heart-breaking and heartening at the same time. A book I would definitely recommend. A 4/5 read. A book that I thoroughly enjoyed, and one that I’m sure a lot of my friends would enjoy reading. This was my first Kelly Rimmer read, but having read this one, I’m sure she goes on to my ‘favourites’ list. Many thanks to Netgalley and the publishers, Bookouture for the review copy of this book. Kelly Rimmer is an Australian Fiction writer. She lives in rural Australia. Adrian lived a perfect life. Two ex-wives, one wife and a five children. All living in perfect harmony. Everybody loves each other. Maya’s Adrian’s wife babysits for Adrian’s ex-wife Caroline. They even go on holiday together. Life is as perfect as could be. Perfect until Adrian’s wife died. She stumbles onto the path of a bus, drunk. Was it suicide or was it an accident. Either way, it changed Adrian’s life in a way he had never imagined possible. Forced to confront the reality that he had hid himself from, Adrian now needs to introspect and think. We come across Adrian’s ‘The Third Wife’, only after her death. As the story unfolds, we get to hear Maya’s story as well as Adrian, his ex-wives and children. An interesting take of a blended family. A family that looks perfect on the surface but digging a little reveals secrets of all sorts. The book does a great job analysing the impacts of a broken family on all the members involved. Even the seemingly fine ones, may have deep secrets hidden. I particularly liked the characters. Each of the characters were vividly portrayed. One may or may not like them, but they felt real, like people around us. I couldn’t stand Adrian, but could understand him and his motivations. The story could be happening around us, may be there are families just like these. I really enjoy books like these where characters have shades of grey, who may not be likable and yet you want to know what happened to them and why. I haven’t enjoyed all of Lisa Jewell’s books, but this one worked for me. It was an interesting read. I’m not entirely sure of the ending. I’m not sure if I completely bought it, however, it was as good as an ending as any. A 3.5/5 read for me. One that I would still recommend, for the story and the treatment of the story. Have you read this book? If so, how did you find it? Thank you, Netgalley and the publishers for the review copy of this book. 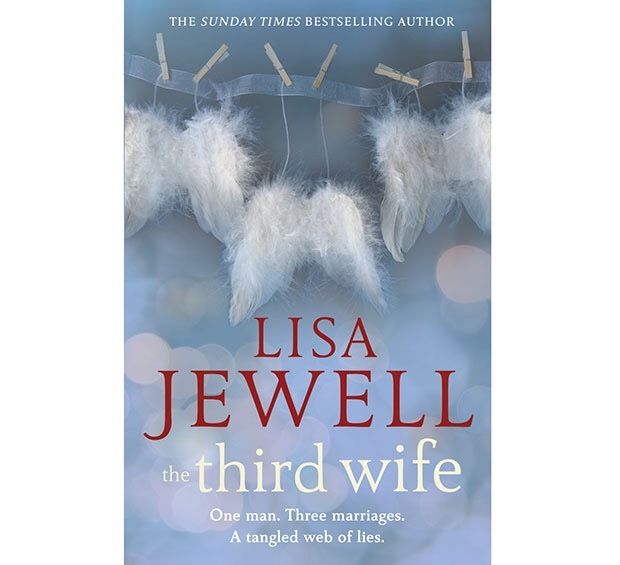 Lisa Jewell (born 19th July 1968, Middlesex, London) is a popular British author of chick lit fiction. Her books include Ralph’s Party, Thirtynothing and most recently 31 Dream Street. She lives in Swiss Cottage, London with her husband Jascha and daughters Amelie Mae (born 2003) and Evie Scarlett (born 2007).